Lake Thun is, for sure, one of the most beautiful lakes in Switzerland, and actually, it is also one of the best places to stay. There are many fun things to do around Lake Thun. 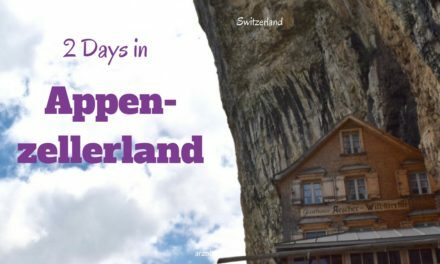 With the cutest towns and villages, stunning mountain peaks, and beautiful hotels, this is one of my top recommendations for staying in Switzerland. It surely is no hidden gem, and every year, visitors come from all around the world. But if you visit, you will understand the fascination. 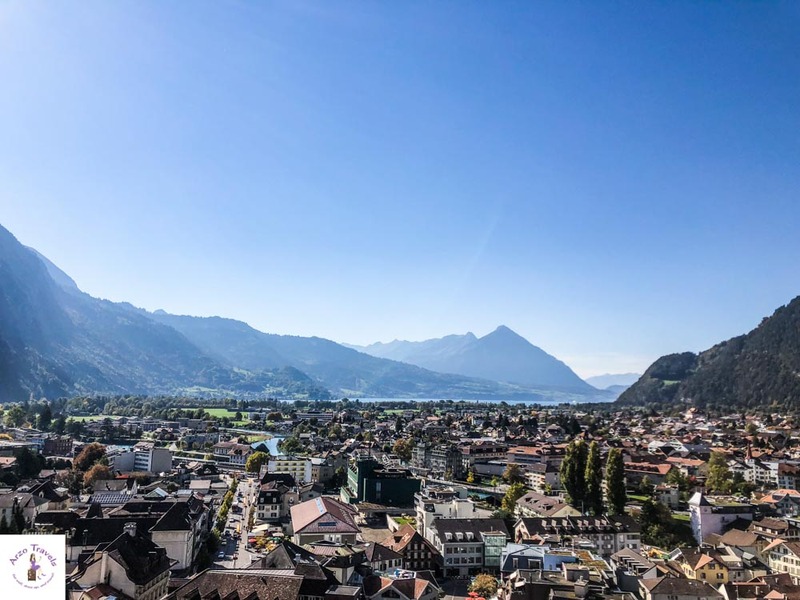 If you stay in an official accommodation in Thun or in the area, you will get the Thun Guest Card, which will give you discounts on certain activities. But the best part is that you can use public transportation in Thun and its surroundings for free (buses only). You can take the bus to Interlaken. Thun is a busy town and one of my first picks when staying in the area. Accommodation prices are a bit higher. Spiez is another place I recommend to stay when at Lake Thun. This pretty town is a luxurious resort that is centrally located and close to many other tourist attractions. Interlaken is a good choice if you are short on time and also plan to see and do activities in an around Lake Brienz and Interlaken itself. 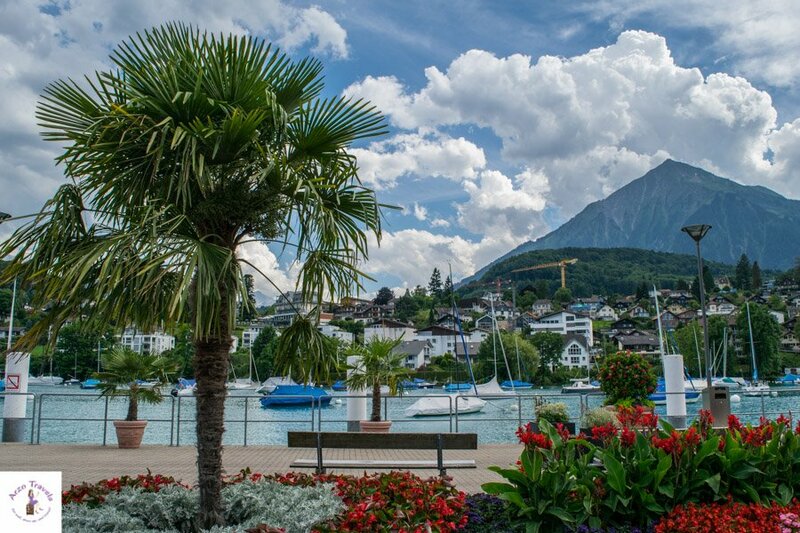 Click here to read about the best places to stay in Interlaken (for all budgets). Budget tip: If you need to watch more budget more closely, I recommend staying in places close to the lake, like Aeschi bei Spiez. If you choose an Airbnb accommodation you will also get the Thun / Interlaken Card if it is an official and registered property (so double-check before booking). It doesn’t really matter if you get around via car, public transportation, cycle, or on foot. Each of these modes are fantastic around the lake and I couldn’t name a favorite. A bit more on this later. 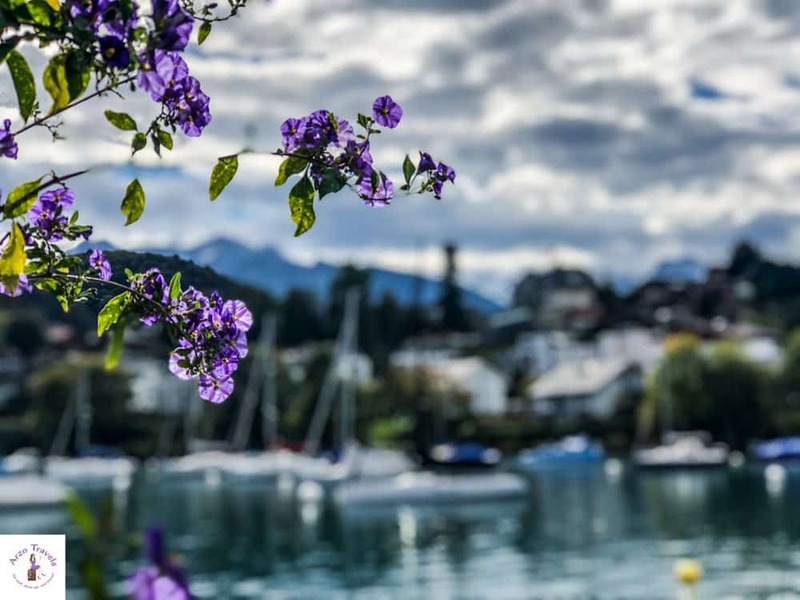 Find out more about the Thunersee – as Lake Thun is called in German – and the best things to do around Lake Thun, as well as some important travel advice. Lake Thun is located in the region of Bernese Oberland, in the German-speaking part of Switzerland. Situated between Interlaken and Thun, the Alpine lake is primarily fed by the Aare and Kander rivers. 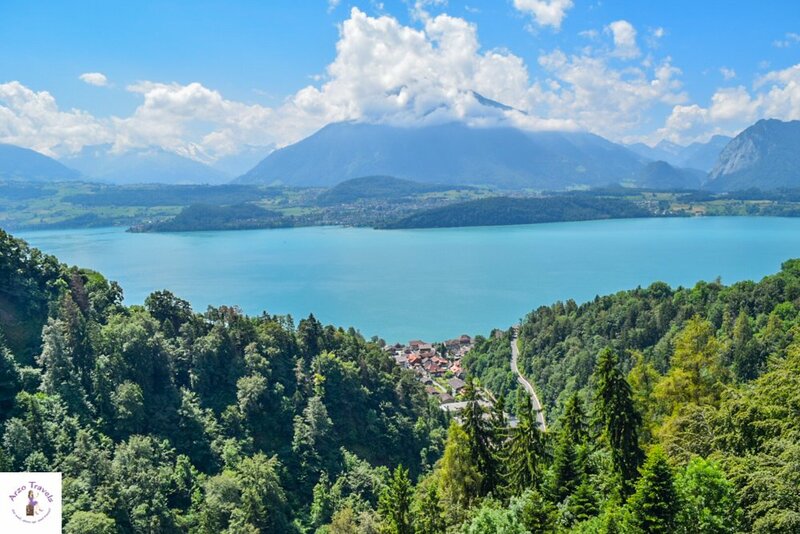 The lake was created after the last glacial period, combined with Lake Brienz (and called Lake Wendel), and then split in the 10th century to become an independent beauty. Its emerald color makes this lake one of the prettiest in Europe – more than 50 kilometers of shoreline offer a variety of attractions and activities to do. 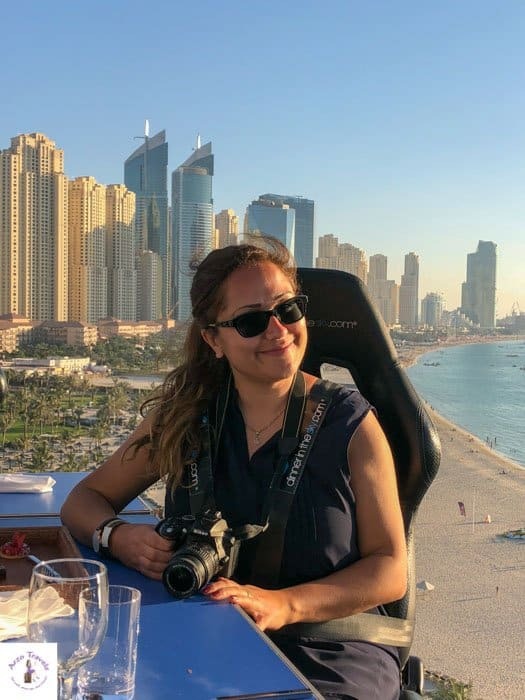 While people might wonder why I added different modes of transportation in my “Best things to do around Lake Thun“ section rather than in my travel tip section, the answer is simple. Getting around Lake Thun is not only a necessity, but also a fun activity. 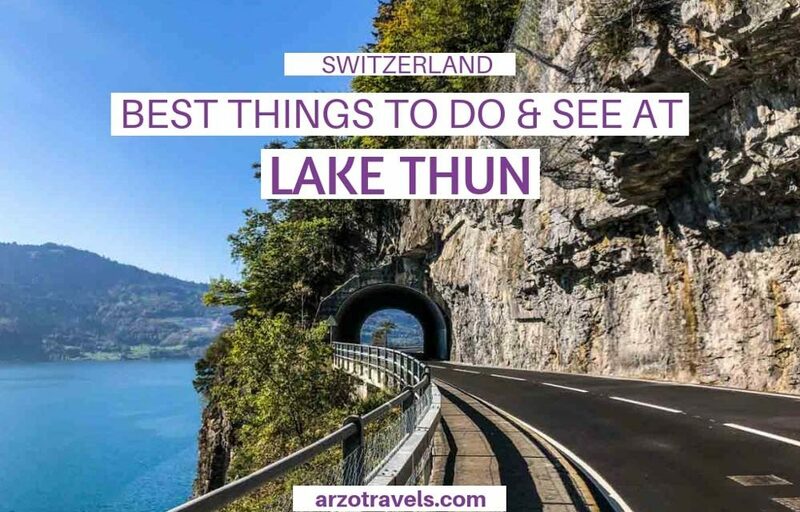 Here are some ideas for things to do on Lake Thun, at Lake Thun, and around Lake Thun. 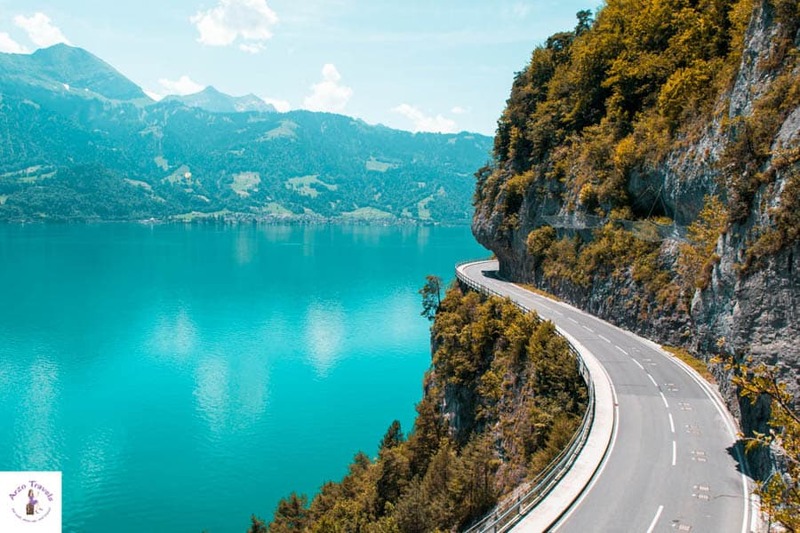 One of the best and most beautiful places I have driven is from Thun to Interlaken via Sigriswil (I recommend this route because you have the best views). 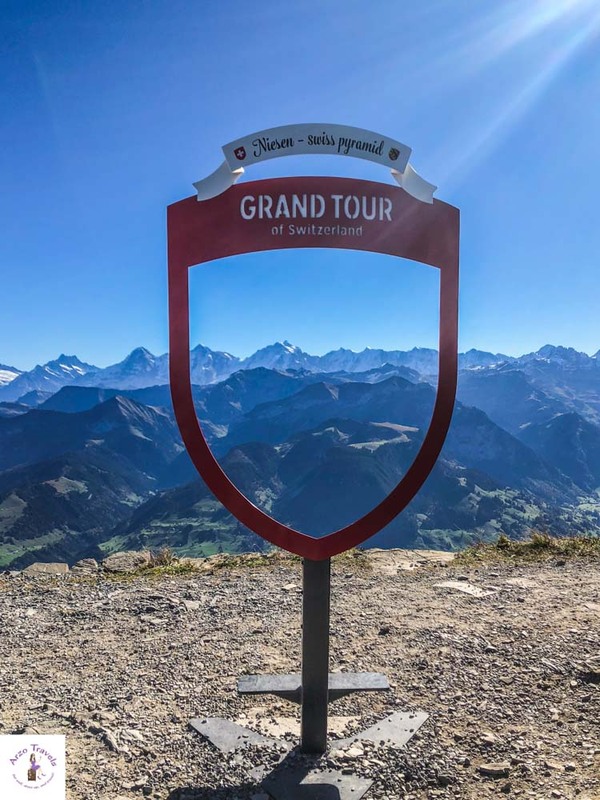 This route is also part of the “Grand Tour“ route. There is basically no free parking (you can stop directly at the lakes at some point, but not in towns, attractions, etc.) in the area of Thun, which makes driving even more expensive. However, it is so worth it! If using public transportation is fun, you are probably in Thun. 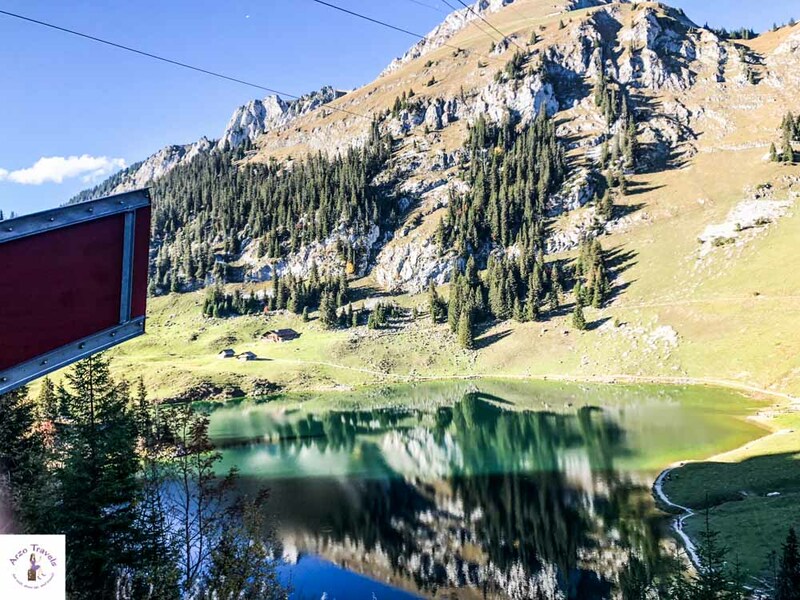 Scenic views and pure bliss are what you can expect when using public transportation in Switzerland. However, buses might be crowded at times, and if you don’t get a window seat, then public transportation isn’t so fun anymore. But if you get a window view it is so worth it (yes, the picture was taken out of the bus). I haven’t cycled Lake Thun, but it is actually on my list. 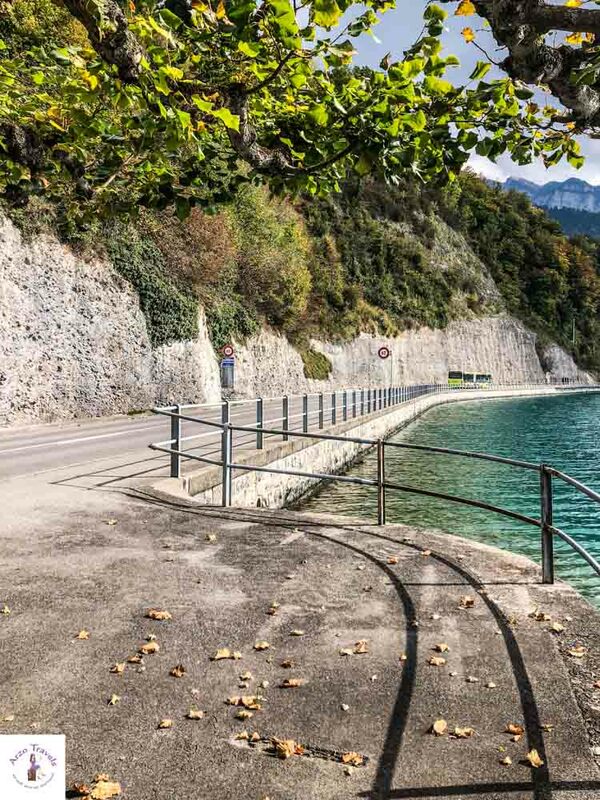 Since it is a mountainous area, you have to pedal a bit harder at times, but cycling along the lake actually looks really doable and fun (on my bucket list!). Lake Thun is also perfect for beautiful strolls and hikes. While walking around the whole lake is actually on my bucket list, I enjoyed the walks I have done so far. Walking directly along the shores is one of the most fun activities in Lake Thun. Most of the times cars will drive next to you, but this shouldn’t stop you. Sometimes, you just walk along the shores without any vehicle next to you (e.g. from Faulensee to Spiez). If you are looking for the best tip for Lake Thun, my answer is simple: cruising Lake Thun on a boat. As a boat addict, and even if you aren’t, this is probably one of the prettiest cruises you can take. Whether you start from Interlaken or Thun, a boat tour will show you the scenery and lake from a totally different perspective. Passing places like Thun, Spiez, St. Beatus Caves, and more makes this a pretty perfect thing to do in Lake Thun. Getting from Thun to Interlaken by boat takes about 2 hours. 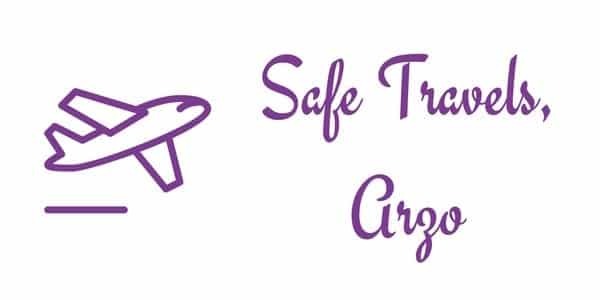 You have the chance to hop off at several stations (like Spiez, Beatenberg, or St. Beatus Caves). Tip: The sunsets seen from Lake Thun are some of the most beautiful sunsets in Switzerland. 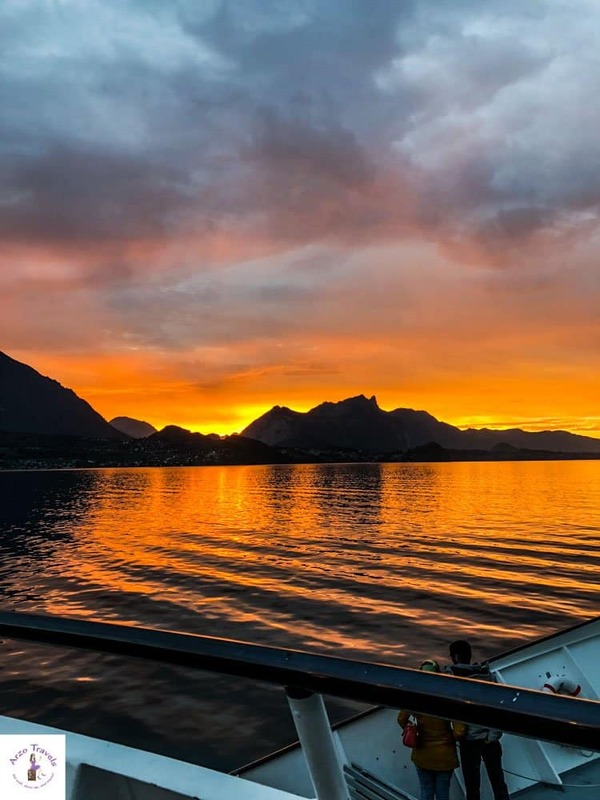 You can even do a sunset boat cruise on Lake Thun. With a Swiss Travel Pass you can go on unlimited boat rides of Lake Thun and Lake Brienz. Lake Thun is warmer than Lake Brienz and, thus, it is more suitable for water lovers. Also, it is popular amongst sailors, windsurfers, and stand-up paddlers. While I don’t do any of those, active people will find their perfect water sports activity at Lake Thun. Thun is the biggest and busiest town in the area. 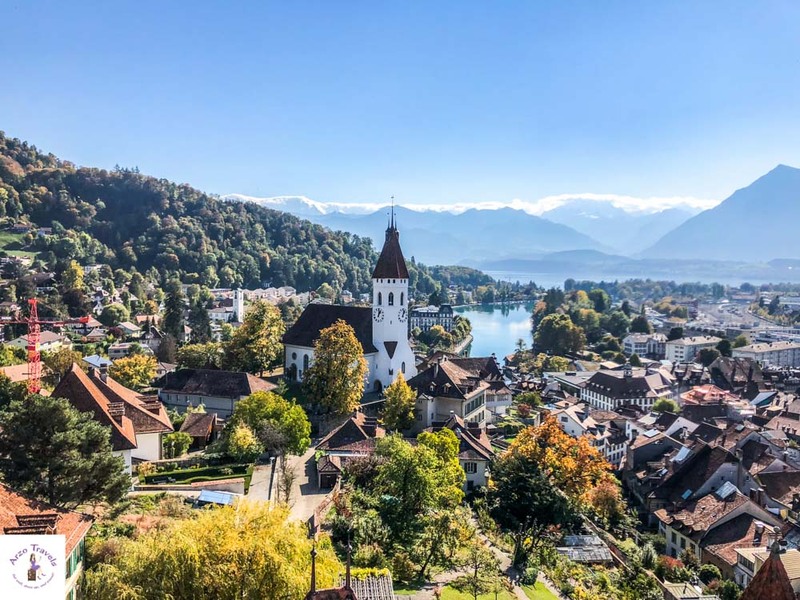 Find out about Thun´s history while looking at the Thun panorama, enjoying views from Thun Castle, strolling the beautiful market square and old town, resting at the Aare River, having your lunch/dinner, splashing your feet in the river, and resting at Schadau Castle. 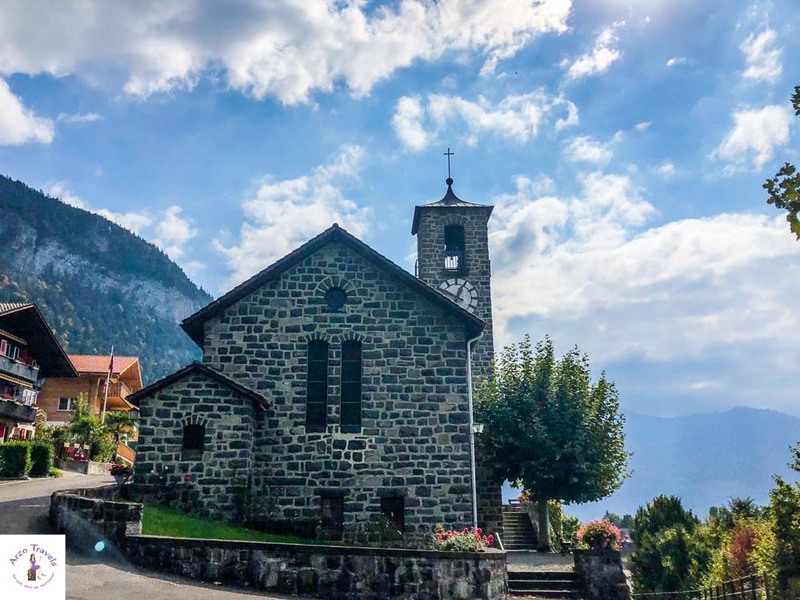 Thun has some seriously pretty places that should be on your Interlaken itinerary. Tip: With a Thun or Interlaken Guest Card you get a small discount on Schloss Thun (free access with a Swiss Travel Pass). Interlaken is the most famous town on the shores of Lake Thun. The world capital of outdoor activities also offers interesting places for those who are less into adrenaline, like the Höhenmatte and the Aare River. The town itself is great for shopping watches, but if you prefer buying something else, then Thun is probably the better choice. However, strolling the main street and watch people paragliding is a fantastic experience (or why not paraglide yourself?). 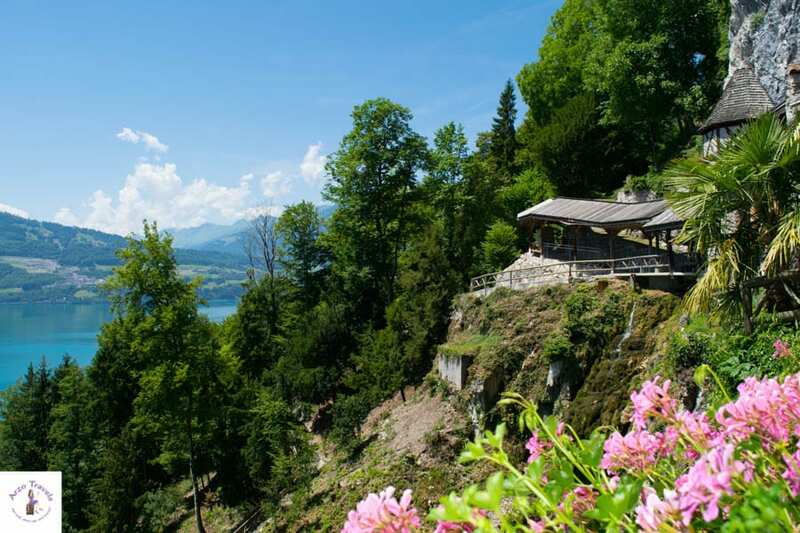 Another beautiful place to visit at Lake Thun is the St. Beatus Caves. The St. Beatus Caves meander through grottos full of stalactites and stalagmites. The caves can be visited for an entrance fee, or you can just enjoy the amazing views of the lake. There is also a restaurant and if you walk from the caves towards the boat station you have a scenic view (see picture above: Drive along Lake Thun). Sigriswil is another lovely village to visit at Lake Thun. To enjoy beautiful views on Lake Thun, head to the Sigriswil suspension bridge and explore the interesting garden area of Grabenmühle. The Sigriswil suspension bridge is a bridge that comes with great views of Lake Thun – walking the suspension bridge probably isn’t for the faint-hearted. While you have to pay a fee to pass the bridge (around 8CHF) it is worth those who enjoy great views and interesting bridges, you can use your Sigriswil bridge ticket to get into the Grabenmühle as well. 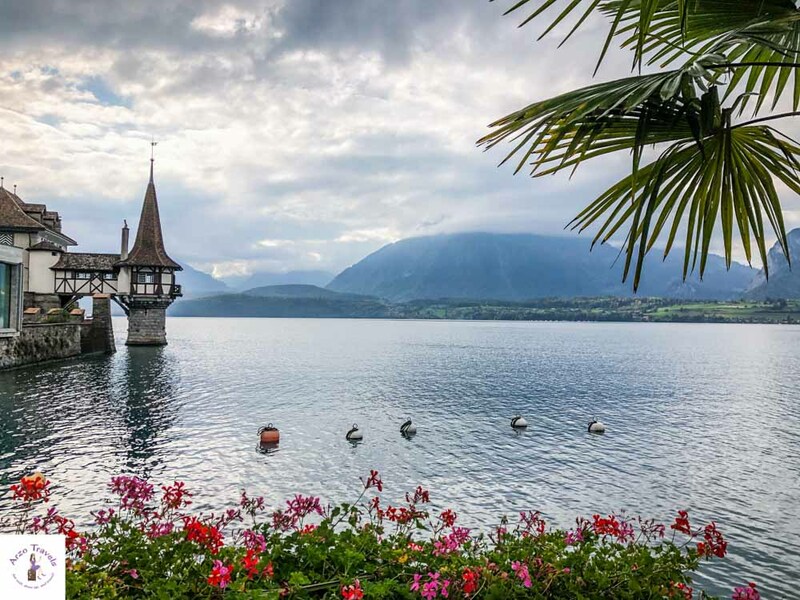 Oberhofen was named the most beautiful town in Switzerland – so, of course, it should be on our itinerary. It is most known for the Oberhofen Castle, located right on the shores of Lake Thun. And close by, in Hilterfingen, is another castle. Hünegg Castle offers great views and a lot of history just waiting for you to explore. It is only a 10-minute walk from Oberhofen Castle. Merlingen is a very small village on the shores of Lake Thun. However, while it is very small, it offers great views from the church and is extremely charming. It is not likely to be a place you could explore for days, but staying here is probably one of the best ideas in the area of Lake Thun. Spiez, nestled amid hills and vineyards, will give you the most Mediterranean feel in the German-speaking part of Switzerland and is one of my favorite places in Lake Thun. It is located close to Thun, at the western/southern shores of the lake, and is one of the highlights of Lake Thun. Visit Spiez Castle, stroll the promenade, or take a pleasant and easy 40-minute walk to the Faulensee boat station. Whether you are a hiker or just taking the cable car, enjoy some of the best views from Beatenberg and Niederhorn Mountain. On a nice day, a mountain trip to Beatenberg and Niederhorn should be on your Interlaken / Lake Thun itinerary. Tip: With a Swiss Travel Pass you get a discount on the cable cars. Sunsets in Switzerland are best watched at Lake Thun. Most of the time, I am already in my hotel when the sun sets, but when I am in the region of Interlaken, I try to stay out longer and head to Lake Thun because Swiss sunsets are the prettiest there. Best spots around Beatenbucht (there is even a sunset boat cruise available on Lake Thun). Either bring your own snacks and enjoy the view from the shores, or enjoy the views from one of the hotels or restaurants that come with a view – or, as mentioned, enjoy the view from the boat (Tip: Buy a day ticket for Lake Brienz and Lake Thun and enjoy cruises at day and then end the day with the sunset cruise). 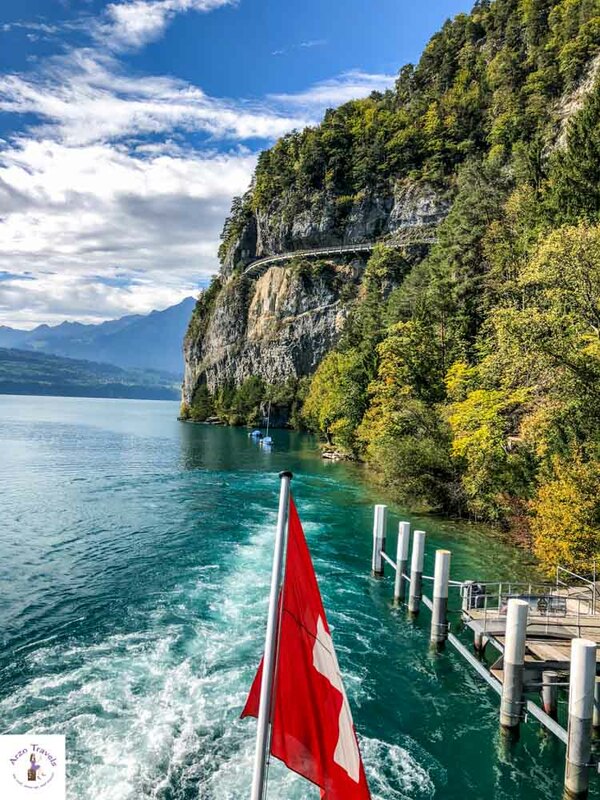 Tip: With a Swiss Travel Pass you can go on unlimited boat rides of Lake Thun and Lake Brienz. Here are a few more tips activities that you can (should) do when you visit the pretty area of Lake Thun. 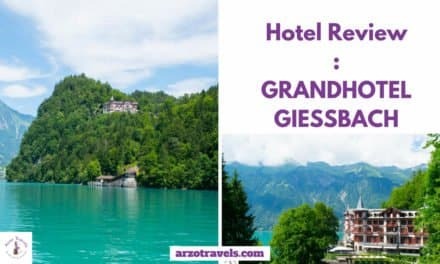 They are all close by and can be easily visited from Thun or any other town close by (especially easy to visit from Thun or Spiez though since they are located towards the southern/western shores of the lakes. 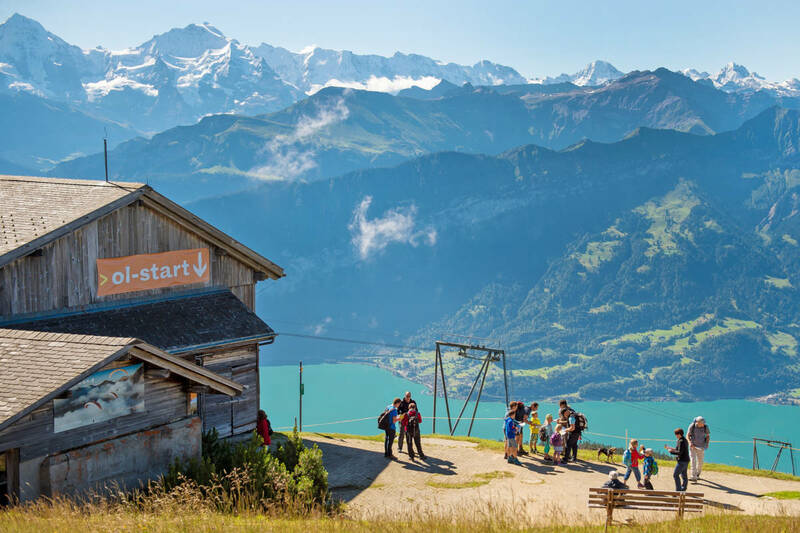 Get up Niesen Mountain and enjoy spectacular views of the lake. You can either get up by cable car or do buy a one-way ticket and then hike up/down one way. There is quite a lot to do at Niesen Mountain (that mountain that comes in the shape of a pyramid) so that you could spend a full day here. Tip: With a Swiss Travel Pass, you get a discount on the cabe car ride. Stockhorn Mountain is another mountain close to Lake Thun that you can either hike up or get up via cable car. Upon your way you will see more lakes and if you like to go bungee jumping, why not here? Tip: With a Swiss Travel Pass, you get a discount on the cable car ride. Hiking in Diemtigtal Nature Park – this place is great for hiking with the whole family. 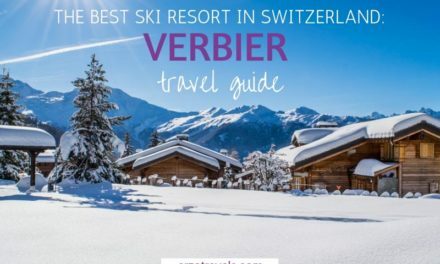 It is located close to Stockhorn Mountain so you could combine a trip. Easy and moderate hikes make the area great for people of all ages. 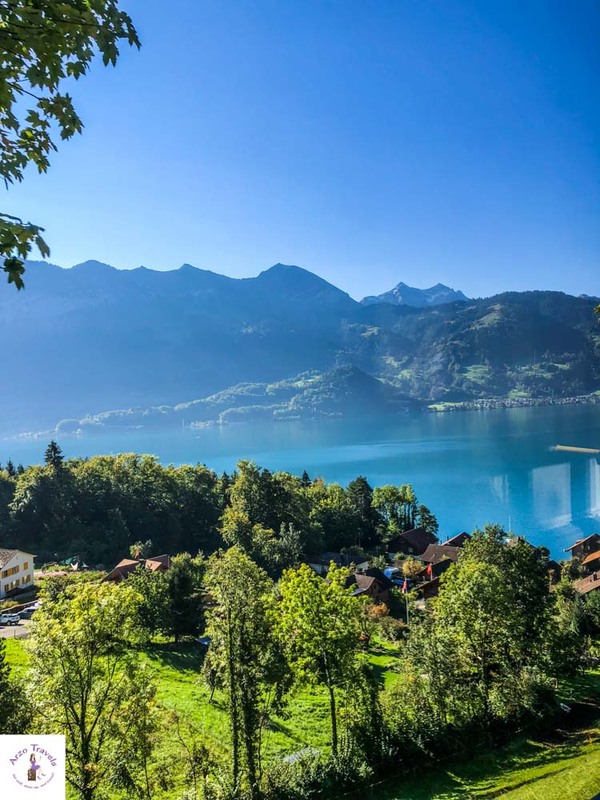 These are my personal top tips for visiting the area of Lake Thun. As you can see there are quite some Lake Thun attractions as the lake is not a lake like any other.